The L-ISA Controller graphic user interface optimizes and simplifies the placement of sound objects in a 3D soundscape. 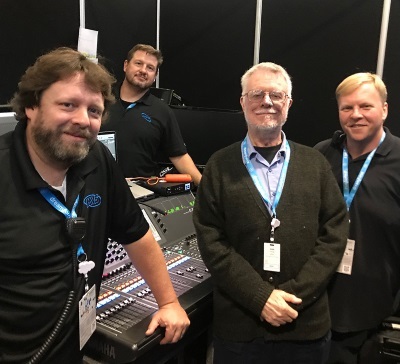 Josh Conway from BigBoyNoise created an immersive audio experience at one of the largest corporate events in the country, Dreamforce, in San Francisco, California. To create the perception of believable, three-dimensional nature for attendees, Conway needed multichannel audio mixing and processing technology that could truly envelop and immerse guests in the experience. L-ISA Immersive Hyperreal Sound technology by L-Acoustics provided the ideal solution. Dreamforce is the annual user conference for the Salesforce management software company and it has always been a place to show off the latest technology for tech-savvy attendees who expect to be dazzled by the very newest and best in event technology. Utilizing new equipment at events of this scale with over 150,000 attendees always comes with risk, but the reward of providing a truly unique experience for the first time is huge. 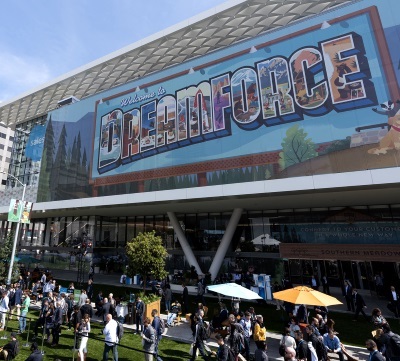 The starting point for sound system design inspiration was the décor at the Salesforce Dreamforce gathering, featuring hundreds of live plants, giant trees, and nature scene murals covering convention center walls from floor to ceiling. The goal was to realistically replicate the sounds of nature to accompany this National Park-esque scenery. Recordings were specially created by Conway to establish a foundation for the overall space. Using eight omnidirectional microphones in the Lovell Canyon just outside Las Vegas, Conway was able to capture two days of high resolution recordings that were edited down to an 11-hour timeline. Additional live recordings were provided by Dan Dugan using four microphones with minimal processing to capture the sounds of the Mariposa Grove of Giant Sequoias in Yosemite National Park and the Dipsea Trail located within the famous Muir Woods National Monument located just outside San Francisco, complete with rushing water in a nearby creek, and bird calls ringing through the forest at the break of dawn. The remainder of the sound files included migrating birds in flight, wind moving through the venue, thunder in the distance, coyotes and wolves howling, as well as a few small aircraft flying overhead. The sounds all had a sense of location in the air space overhead the expo area, seemingly coming from between the actual loudspeakers. The sounds were designed with the venue layout in mind, matching the locations of a forest of computer terminals, LED walls and attendee traffic areas to sound effects such as a bird flying overhead, including movement, when relevant. Visual lighting “takeovers” included moving lights synchronized with the audio movement to simulate dawn several times a day, appealing to the senses of attendees to create the immersive experience of nature while walking around the expo space. Whether for live events or installations, L-ISA enables accurate placement of sound objects in a space, resulting in increased clarity and accurate localization of sound. In other words, what you hear is what you see. According to Conway, the ability to spatialize audio in multiple dimensions enhances the experience significantly. He calls immersive sound design one of the biggest advancements in his 25 years of experience working live events. Conway was working with audio-visual production company Mountain View Staging on this project. 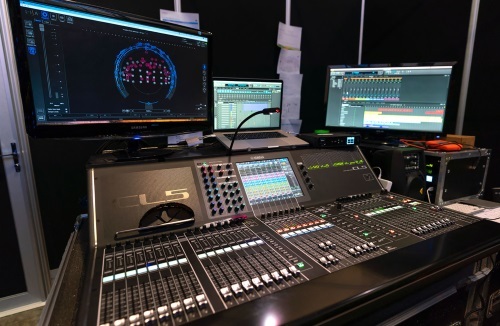 MVS and Conway are both experienced in the fact that event planners are less aware of the potential to combine new audio technology like L-ISA to enhance and support the visuals.